The city of Logansport's school history begins in March 1829 with a one-story, two room schoolhouse at the corner of Fourth and Market Streets known as the Eel River Seminary. On August 11, 1840, the Cass County and Eel River Seminary Association bought a square plot of ground from the estate of General John Tipton. The plot of land was bordered by Thirteenth and Fourteenth Streets, and by Broadway and Market Streets. The New Seminary (#1), a three-story stone building, was erected at the corner of Thirteenth and Broadway Streets in 1848-49. It opened for the school year in September of 1849. 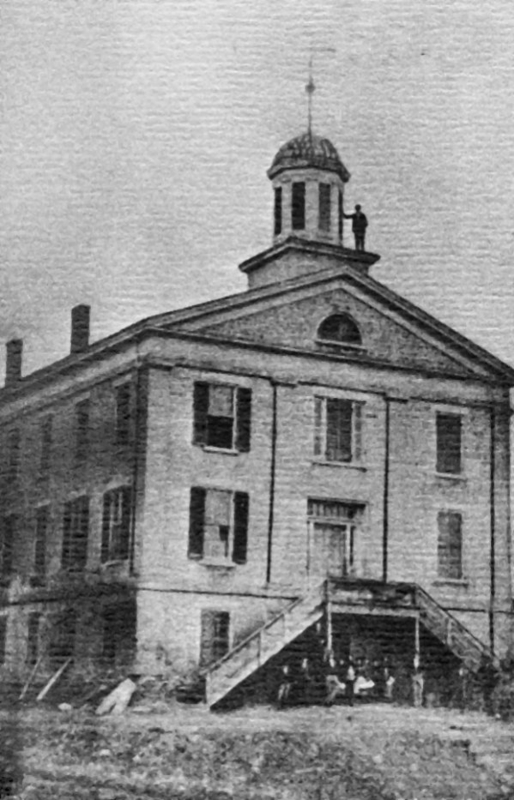 High school classes were first offered in Logansport at the Seminary in 1863, when a system dividing the school children into four categories -- primary, intermediate, grammar and high school -- was implemented. The first recorded high school commencement took place June 1, 1871, at the Mesodian Opera House, located over Porter's Drug Store. The first graduates were Miss Ann Covalt, Miss Sallie Horn, and Miss Sadie Clendenning. In 1873 the Seminary was deeded to the city of Logansport. 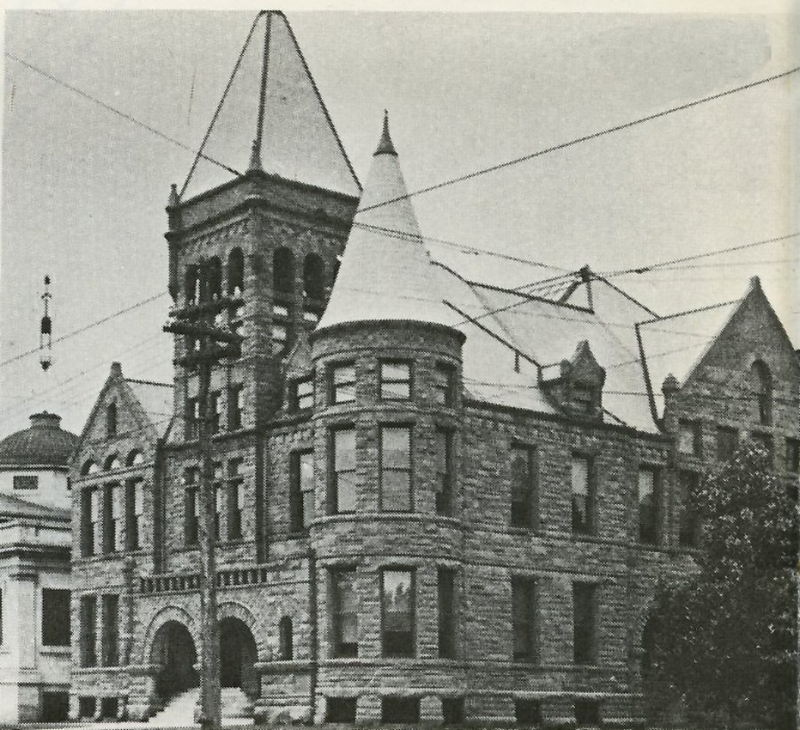 The following year, 1874, the Seminary was razed, and a new structure was erected on the same site. This building, known as Central or Lincoln School (#2), conducted high school classes from 1874 to 1894. The Roosevelt Building (#3), located at the corner of Seventh and Broadway Streets, became the high school from 1894 through 1913. 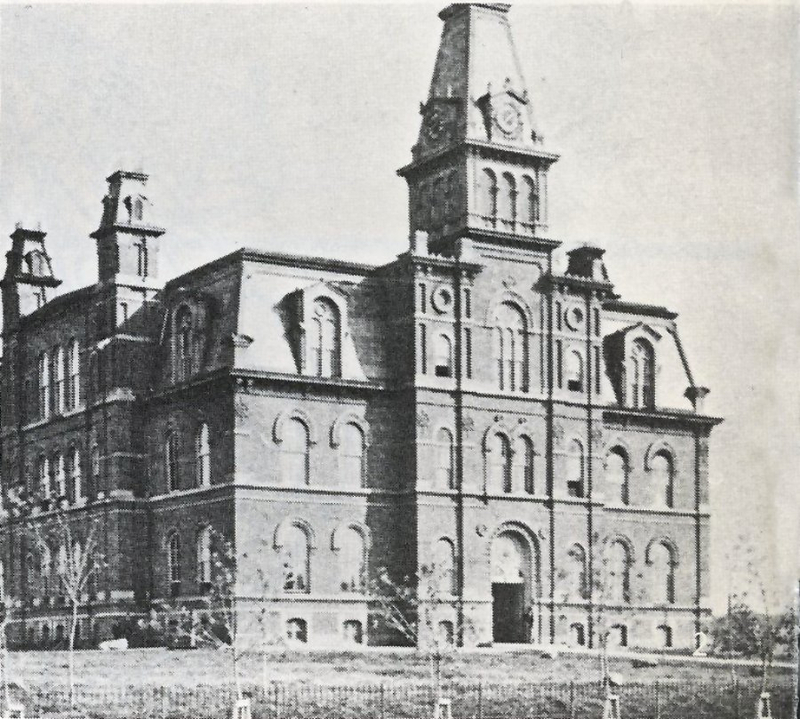 In 1913 the Lincoln School was torn down to make room for the "old" Logansport High School (#4), which operated for sixty years on the Broadway site. The course of building a new high school was first embarked on in 1967. The decision to build the "new" high school was the result of a recommendation from a physical plant survey committee in April 1967. It was on May 8, 1967, that the Board of School Trustees voted to build a new school. In November of that same year, the board agreed to purchase land for the school. 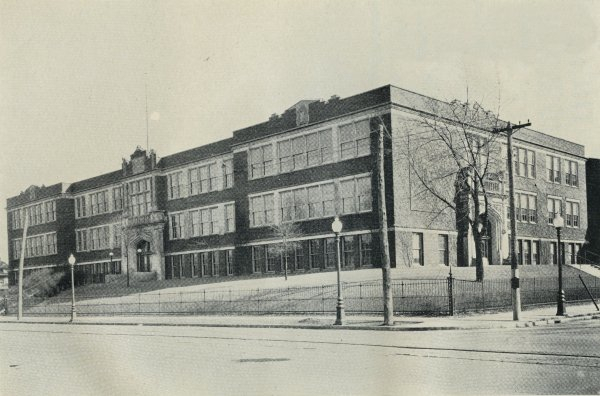 In February 1968 the board voted to purchase the property where the high school is now located. Although there were some trimming in the proposed cost of the building, it was completed and classes started in 1973. 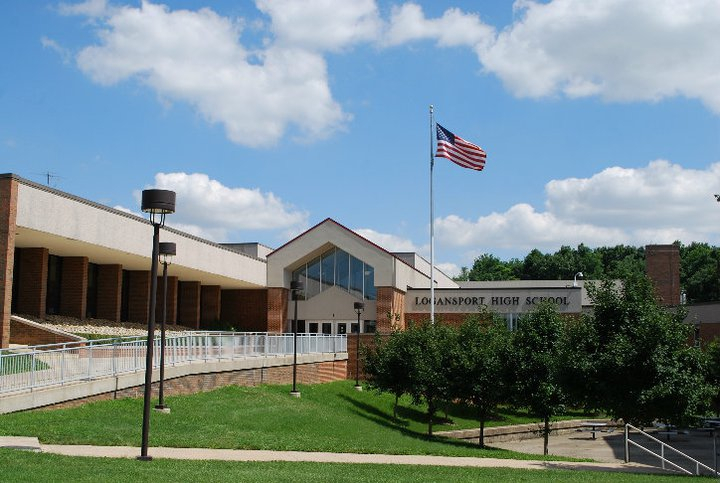 The "new" Logansport High School #5 was constructed on a hilltop on the eastern edge of Logansport on 86 acres of land. The building was divided into four sections: an athletic wing, a student services wing, and two academic wings. The original athletic wing includes the Berry Bowl, which provides seating for 5,830 people, and the 400-seat, six-lane swimming pool. In addition to the standard locker room facilities, the athletic facility also includes a wrestling room. Outside arenas include Jim Turner Baseball Field, Fincher Softball Field, ten tennis courts, and the "Berry Patch," a wooded area used by the students of LHS as an outdoor classroom. The football stadium and track area were constructed in 1950. They are located behind the current administration building on George Street within two blocks of the high school. In 1992, an auxiliary gym with new locker rooms and weight room were added off of the Berry Bowl. The student services section contains all offices, the cafeteria and the library. The library features a magazine room, a computer lab, conference room and an adjoining audio-visual center. The remaining two wings of the building house the academic areas, which are grouped into areas of study. In 1996, an observatory was constructed just south of the high school building. This facility is utilized by science classes and is open for public celestial viewing on specific occasions. The off campus El-Tip-Wa Vocational School began in 1971 at the old Pepsi Bottling Company warehouse on Sixth Street. Conditioning and PE classes, teams, and staff. The facility will be housed with cutting-edge Hammer Strength performance training equipment. Hammer Strength offers the "tools needed to build champions." In addition to free and machine weights, students and staff will have access to ample cardio trainers. With this new Life Fitness area, brings additional expansion within our music program as they absorb the old weight room. This expansion will increase the size of the existing band room. The renovation adds offices, practice rooms and a dedicated space for our state-renowned, Percussion Ensemble. 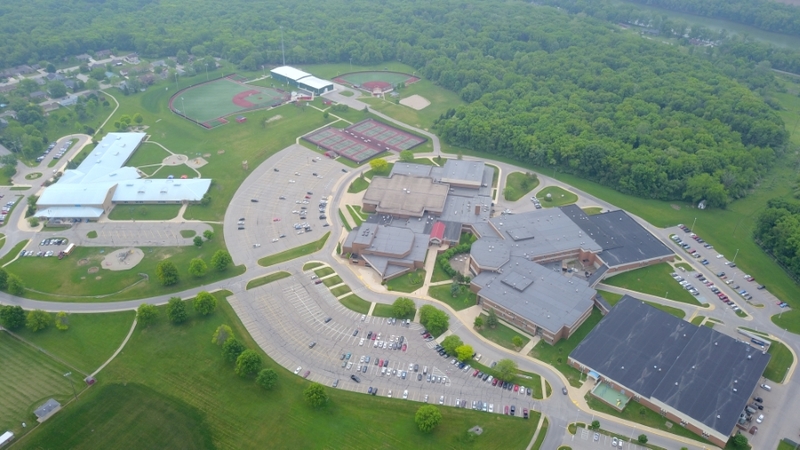 The two connected multi-purpose buildings between the baseball and softball fields, offer over 21,000 Sq. Ft. of heat indoor space to accommodate all programs year round. Indoor batting cages and pitching mounds give baseball and softball an area to improve skill development. Due to having the netting on a unique track system, the nets can be pulled back to create a larger space for various programs. The larger of the two buildings will accommodate in-season gymnastics for practices and meets. The buildings include two student locker room areas along with restrooms, patron restrooms, coaches offices, and storage. These additional on-campus facilities allow for increased after school practice time slots, so students can get home earlier to be with their families.